The total amount granted to Clare for 2018 was €8,016,407, compared to €4,687,586 the previous year. 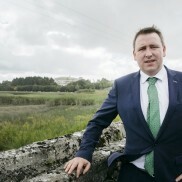 “As Chairman of the Oireachtas Committee on Rural and Community Affairs, I am delighted that there has been such a significant rise in the allocation and I will work to ensure this trend of increased investment keeps going in the right direction,” Deputy Carey said. “Examples of this funding include the Town and Village Renewal Scheme which supports the revitalisation of rural towns and villages. 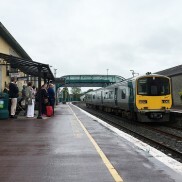 Clare received €581,000 under this scheme in 2018. It covers a range of activities, from improving the public realm to make towns and villages more attractive for locals and visitors alike, to job-creation initiatives such as the development of enterprise hubs and digital hubs. 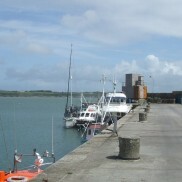 “Rural Ireland is continuing to grow and develop after a difficult time. There are now more people working in Ireland than ever before in the history of the State. Over 146,000 jobs have been created since this Government took office and don’t let people tell you that rural Ireland has been left out. “Three out of every five new jobs have been created outside of Dublin since the Regional Action Plan for Jobs was launched in 2015,” Deputy Carey explained. “58 per cent of total IDA employment is now outside of Dublin – the highest level in the IDA’s history. Two thirds of the new jobs created by Enterprise Ireland companies in 2018 were outside of Dublin. “Regional job creation continues to be a key priority for the Government. That’s why €60 million is being invested in 42 projects across the country under the Government’s Regional Enterprise Development Fund. “In Budget 2019, we provided an extra €10m for the next phase of the IDA’s Regional Property Programme which is critical to encouraging more FDI into the regions and we also increased the Budget for the Local Enterprise Offices by €5million. A series of new Regional Enterprise Plans will be launched in the coming weeks, so that we can build further on the success of recent years and deliver more jobs in the regions,” Deputy Carey concluded. Atlantic Economic Corridor Officer (co-funding with Clare County Council) €30,000.